Automation & Security provide perimeter security solutions in Berwick-upon-Tweed and throughout the North. With over 20 years of experience in supplying, installing and maintaining electric gates, barriers and bollards, it’s no wonder why so many commercial clients recommend them. They work with all the leading manufacturers to provide a quality product backed up by professional and reliable installers. Automation & Security can help to give you the right electric gate solution for your property and needs. 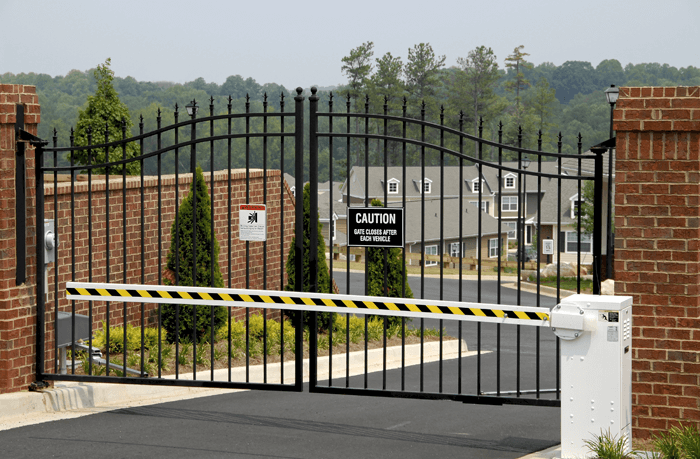 Whether it’s a gated community, industrial premises or an exhibition centre, they can install a wide range of different types of gates from cantilever, sliding or swing gate solutions. Security barriers can help manage traffic flow in and out of a property. Whether it’s manual or automatic barriers, Automation & Security can upgrade existing systems or install new ones in Berwick-upon-Tweed. Automatic barriers can be activated by a key fob or card and can integrate with your existing employee database, giving you a completely autonomous solution and protecting your property from unauthorised access. Bollards can be either fixed or semi-automatic and make a great solution to protect your property from ram raid or to separate pedestrian’s areas from roads. When retracted, bollards are flush to the ground, keeping the aesthetics of the property almost spotless. These can come in a range of colours and finishes and can be added with extras such as led lighting. With the increased risk of terrorism, businesses are reviewing their current security arrangements, to make sure properties are protected in case of an attack. Automation & Security can provide PAS68 security solutions which can withstand a single horizontal impact, even at high speeds. So if you are reviewing your current security systems and want to talk to a professional and reliable perimeter security provider, get in touch now on 0191 456 3399.